Of the multitude of extra-curricular activities Bruce Linton engaged in as a student at Carleton University, smoking pot wasn’t one of them. So it might strike more than a few as ironic that Linton, part of Carleton’s graduating class of 1992, is now the driving force behind the largest licensed producer of cannabis in the country. The co-founder and co-CEO of Canopy Growth Corp. might not have had any personal experience with the product when he and former partner Chuck Rifici launched the business – then known as Tweed – nearly six years ago, but he knew a once-in-a-generation opportunity when he saw it. Linton’s prime role in building the Smiths Falls-based firm into a pot powerhouse with a market capitalization of more than $13 billion has earned him 2018 CEO of the Yearhonours from OBJ and the Ottawa Board of Trade. Ian Faris, CEO of the Ottawa Board of Trade, echoed those sentiments. The award couldn’t be more timely. With cannabis set to become legal for recreational use across Canada on Oct. 17, Canopy has laid the foundation to become a dominant player in what is projected to be at least a $7-billion market by 2019. From its buzzworthy marketing deal with rapper Snoop Dogg in 2014 to its groundbreaking multibillion-dollar business relationship with alcohol giant Constellation Brands, the pot producer has been an industry trailblazer since its inception, thanks in large part to Linton’s inspired leadership. Along the way, it has revitalized the eastern Ontario community of Smiths Falls, where it transformed a former Hershey factory that was slated for demolition into a thriving cannabis production facility that employs 750 people. By next year, the company expects to have 3,000 employees worldwide. Until late 2017, Linton actually led not one but two of the region’s hottest companies. 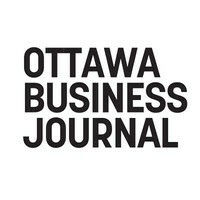 In addition to piloting Canopy Growth, he also spent nearly five years as CEO of Kanata-based communications software firm Martello Technologies, which was named the city’s fastest-growing company three years ago by OBJ and the Board of Trade and recently went public with a reverse takeover on the TSX Venture Exchange. Doing double duty in the C-suite might sound like nothing short of madness to many, but multitasking has become a habit for Linton that goes all the way back to his formative days at university. “It took me six years to do a four-year degree at Carleton. And it’s because there was nothing I didn’t do at Carleton,” said the man whose roles on campus included being president of the university’s students association, serving on the school’s board of governors and holding at least nine other jobs at various times. After eventually attaining a degree in public policy with a minor in economics, Linton had a one-year stint at Newbridge Networks in the early ’90s, where founder Terry Matthews became one of his most influential business mentors – a bond that endures to this day. Linton and the Ottawa tech legend are now co-chairs of the board at Martello. “Ottawa’s still that place where you can actually hang out and work with people that you worked with 20 years ago who were your mentors, and before you know it, you can become co-chair of a board with a guy like Terry Matthews,” Linton said. He’s joking about that last part, but his point his clear: In a quarter-century in business, Linton has never sat still. On the surface, tech and pot might not seem like they have much in common. But Linton said that in a way, Martello and Canopy have helped push each other to greater heights. “In the case of Martello, as Tweed and Canopy got more strength, Martello dutifully worked away and created a lot of value, but we got more eyeballs because of the cross-reference,” he said. Meanwhile, Linton is also an investor in online equipment-sharing platform Ruckify, a venture his friend, serial entrepreneur Steve Cody, launched last year. Clearly, the chance to disrupt another aspect of the economy was too enticing for him to turn down. Linton will be honoured along with the region’s other outstanding business achievers at the Best Ottawa Business Awards on Nov. 16 at the Westin Ottawa. For tickets and more information, click here.